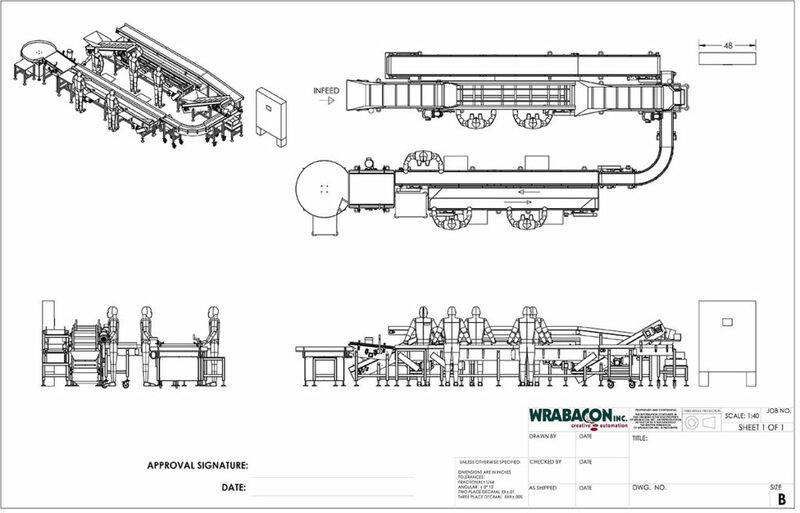 Wrabacon specializes in developing creative packaging & automated conveyor system solutions for our customers that make time intensive tasks efficient and easy. 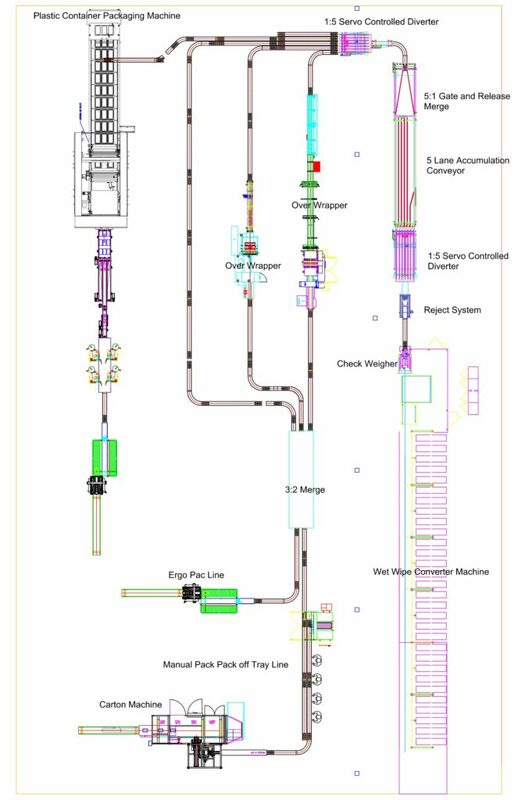 A recent example is a custom designed and manufactured series of conveyors that drastically improved the efficiency of a manual produce packing operation for a regional distributor and specialty packaging company of organic produce. The client needed to be able to sort up to 6000 lbs. of produce an hour, grade that produce, and then package it in a variety of ways including loose product, cased product, and bagged product. Prior to the Wrabacon system, the grading portion of the operation was done by opening a box of produce and hand picking the good from the bad and transferring the bad product into a separate box which was then disposed of, which was time consuming and inefficient. After manually loading the produce onto the conveyor, operators stand along the conveyor and grade the produce as it passes by. The grading conveyor consists of ¾” diameter rollers that rotate the produce as it passes by. Unwanted produce is placed onto the waste conveyor that travels in the opposite direction. The good product is transferred into a hopper that brings the produce up to the top of a small hopper. From the hopper, the product is handled one of two ways; into a bulk case or directly onto a takeaway conveyor for individual packaging. For packaging, the boxes or bags (the portable bagging conveyor can be easily moved onto place when needed) are placed on a scale and filled to the required weight. When that weight is reached, the conveyor feeding produce can be easily stopped via a button so the operator can move the box or bag off the scale. However, the grading conveyor is still filling the hopper, so the overall process does not get delayed. When the operator is ready to continue, a simple press of the button starts the process again. Once the product is packaged, it is set along another conveyor that allows the containers to be clipped or tied and easily labeled.